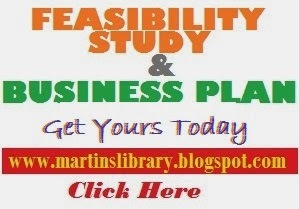 Martins Library Snacks is a proposed bakery set to offer bakery products and services at its best to the people. Martins Library Snacks unlike other bakeries tend to produce a variety of bakery product as well as providing good producer customer relationships between the company and the outside world. Its headquarters can/would be located at Kubwa in Abuja, Mushin in Lagos, Ndufu-Echara Ikwo and Abakaliki in Ebonyi, Kaduna, Warri Delta state, Amarata Yenogua Bayelsa, Eleme in Portharcourt, Owerri in Imo state, Aba in Abia state, Onitsha in Anambra state, etc (note that this is a sample) as this is the central areas of the local government area and so it would give the bakery its propelling ease of distribution of its product round the local government area and beyond. The company intends to break free within the first five years as well as have a number of branches distributed around the country. within the next few years the company intends the begin customers service helpline, introduce online bookings of products and also begin home delivery of products as well as open up a number of stop points at designated hotspots around the state and beyond. Martins Library Snacks management team would be made up educated and well trained personals, its workers would have at least a secondary school leaving certificate as well as experience on their various post of duties and a good behavior to add to their list. Martins Library Snacks has a total project cost of #10,000,000 with a fixed capital of #6,000,000 and working capital of #4,000,000. The company intend to raise 30% (3,000,000) of the capital from owner’s contribution and the remaining 70% (7,000,000) from bank loan. The company estimates its net operating profit within the first three years 2015, 2016, 2017 to be #20,276,000. #21,307,300. #24,832,850. The company hopes to have a significant increase in income every year. Our mission is to produce quality and affordable products, giving maximum satisfaction to the costumers. Our vision is to build and sustain a reputation as the best bakery by ensuring the satisfaction of our customers are reached. Martins Library Snacks is a baking company set to unveil the unexplored aspects of the bakery world, it is out to serve the people as well as give them varieties of delicacies which include European, American, Italian and African delicacies such as bread, sausage roll, chin chin, cakes, and donuts among others in the baking field. The company is set to take off by January 2016, in time to create a good stand before the year runs out. Legal Structure: Martins Library Snacks is a private limited company but to be registered under the Corporate Affairs Commission (CAC) and its products with the National Agency for Food and Drug Administration and Control (NAFDAC), also the company will be insured with an insurance company for unforeseen circumstances. Martins Library Snack is a baking company that falls under the food industry. The bakery industry overtime has been a lucrative company and has helped in the day to day availability of foods such as bread, cake, sausage roll, chin-chin, doughnut and others to people. The industry is a large one and has spread immensely around the globe touching its four corners. Every individual patronizes the industry as its products play a major role in the food table of people around the world. The flour producing company, the sugar and salt company, producers of preservatives and yeast and other companies are in the line of baking materials providers. Companies like Yale, Nasco, UAC, among others are major competitors in the industry. · Poor customer care service. · Lack of innovation and new product introductions. · Inability to check on product in retail sales in order to check mate the sales of expired product. · Unavailability of on-line booking and home service. · Satisfying consumers taste and listening to their ideas and taste requirement. · Creation of customer service both on internet, cellular and call centers. · Innovation and production of new and wonderful products with varieties in taste. · Regular checkmating of products in retail distribution and removal of expired goods and production of long term lasting foods and also getting information’s from retailers. · Ensure regular and constant online booking and home services if required. · Inadequate supply of power. HOW TO DETERMINE FATE OF THE COMPANY: The Company has set goals and a range of time at which these goals would be attained. If at the proposed time these goals are not met, then it would be noted that the company is failing but if the goals are attained before or at the proposed time, then it would be said that the company is succeeding. Martins Library Snacks will sell its product at wholesale prices to institutions like Universities, Polytechnics, College of Educations and many other public organizations like Hotels, Supermarkets, Shopping Malls, small and big Provision Shops and Restaurants. The public consisting of lovers of quality baked foods are not left out. Storefronts at designated areas such as the shopping center among others would serve as Hotspot to costumers. The available market at present is fairly large, taking into consideration that Ebonyi, Enugu, Anambra state inhabitant and visitors are in dire need of quality baked foods which the existing bakeries have failed to supply over the years. The students, visitors as well as inhabitants in the state are target customers. It is of the Company’s goals to extend its branches to about 5 or more states in the federation in the next five years. This will invariably increase the size of the market. The location consisting of forums of higher learning which is one of our primary target areas will experience a tremendous increase number of students and establishments like banks will encourages the population increase and thereby, boost the size of the market. The company intends to reach its customers by the use of van to supply our products to the four corners of the state, also advertisement of goods would be done to create awareness, also Martins Library snacks would sell their goods at subsidized rate to the public and this would also help increase our rate of costumers. Promotions also would be carried out by the company and this includes bonuses during festive periods like Christmas, Easter, Salah and so on, discounts on bulk purchase would also be available, also weekly promotions like Saturday buy 5 products and get a free gift would come in play. Also the company might come up with various forms of promotions depending on how the market functions at that point in time. This company being a producing company and its production is on daily bases will be managed by the chart above. Almost all the group of bodies above engages in work on daily bases except the board of directors who will not be engaging in every day to day activity of the company but would be updated from time to time on the functionality of the company. It is the work of the operational manager to oversee the work of individuals like the engineering department, security and also collect information from technical workers about the functionality of the machines of the company. The production manager takes charge of the quantity of the products to be produced as to get feedback from the marketing unit to determine the level of sales that is going on. Marketing manager oversees the work going on in selling, promotion and advertising the products of the company. The financial manager oversees the movement of money in the company which includes money for production, money after sales, money for payment of workers, money for maintaining and running of the company. As the company is growing, it will be empowering her workers in order to get more genuine information that will aid her in meeting up with the demand of the society. Material research: the company will also be sending her members to go into research in order to know better innovations that will aid the growth of the company. Every business organization must have humans who work for the attainment of the organizational goal. 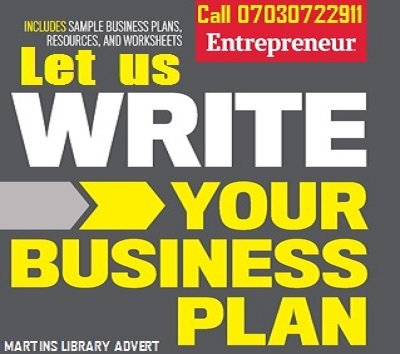 Martins Library Snack should not be left out as we look forward to employing individuals who posse entrepreneur spirits and also posse the skills needed to get the business growing to its peak. The business already has its chief executives and board of directors which leads to its proper management. The chief executive officer is in the person of (Name Here) and the managing director is in the person of (Name Here) followed by other executives. The business would employ other workers for the day to day operations of the bakery. The workers should poses nothing less than SSCE qualification and other experiences based on their area of specialization. The workers should be under different areas of operations such as distribution - drivers, marketers, advertisers, manufacturing- bakers, finance- accountant. The workers would be paid based on their area of specialization and qualification. The bakery will also create room for training of her workers to enable them acquire more skills and fill certain positions which might be left by other workers as a result of retirement, promotion, ill-health among other unavoidable circumstances. 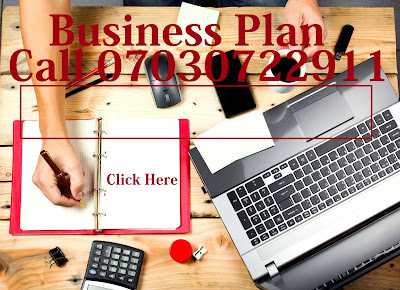 The business will also offer benefit to the workers such as bonuses, work leave, shifts etc. in order to inspire motivation in them. Martins Library Snack has hope of expending in years to come so they will have need for employing more workers in the future into their different branches of business as this would help in output increase and also give room for employing people with innovative skills who could bring up ideas on how to improve the bakery. The total project cost is estimated at ₦10,000,000 which are made up of ₦6,000,000 in fixed capital and ₦4,000,000 in working capital. The funding requirement for this project is ₦7,000,000 and the company is counting ₦3,000,000 into the project. The interpretation is that out of the first year (2016) sales of ₦43,194,000 this bakery business will break even at the point when the turnover is just ₦10,286,320 after this point it will begin to yield profit. The sales revenue which is the cash inflow schedule in figure shows the turnover is realized based on the estimated quantity of demand for cake, bread and chin-chin per day, monthly and yearly. · The total sales revenue from bread, cake and chin-chin for the 1st year(2016) gave a total of ₦43,194,000. · In the 3rd year (2018), the sales will also increase by 5% of 2018 figure. That means the increase will be 5% of ₦45,353,700=₦22,676,85. Therefore, the turnover in year 2018 will be ₦22,676,700 + ₦45,353,700=₦47,621,385. · For the cost of sales, the 1st year total is ₦11,268,000. For the 2nd year, we assume 5% increase of 2017 figure which is ₦11,831,400. For the 3rd year (2017) we assumed 5% increase of 2018 figure which is ₦12,422,970. · In the operating expenses which shows the administrative, selling and general expenses is increased also by 5% each year of the preceding years figure. · Spoilage: due to the fact that bakery goods are perishable with time, the company has developed ideas on how to innovate products that are distinct to those in the market imperishability. · Fire outbreak: due to the fact that in a bakery world, fire is a basic constituent and the company will be dealing with both electrical and heat producing appliance’s which may lead to fire outbreak. The management has insured the company with an insurance company. · Industry accident: this includes cuts, burns among other industrial injuries may take place, to this effect, the company has liaised with the nearby hospital in case of emergency cases. Other factors may include burnt product, inconsistence of government policy etc. and the company tend to tackle all this appropriately. · Short term: within the first twelve months, the company hopes to be a well-recognized brand in the market and to be rated among the top five growing enterprises in the state. The company also hope to have made above fifty percent startup capital as income. · Medium term: one year to five years. Within this period, the company’s hopes to be established as a well-known brand in the market having above three branches. 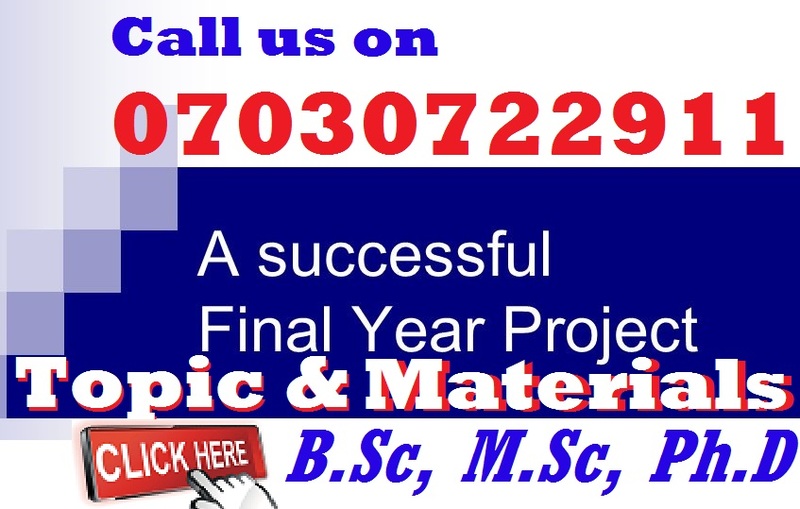 Within the second to third year the company tends to have started home delivery and online bookings and services. And also introduce more verities of products in the market. At the third to fifth year, the company tends to have broken even, stand out as a renowned firm, having about ten branches in its name or more. · Long term: five to ten years. At this, the company must have made a reputation as a stand out firm and so will tend to maintain this reputation continually serving its customers well, introducing new and better product in the market creating easier accessibility of their products by customers, creating more branches and even going beyond the borders. 3. IMMENSITY: Huge, gigantic, and very large. 5. UNVEIL: To reveal or disclose something.